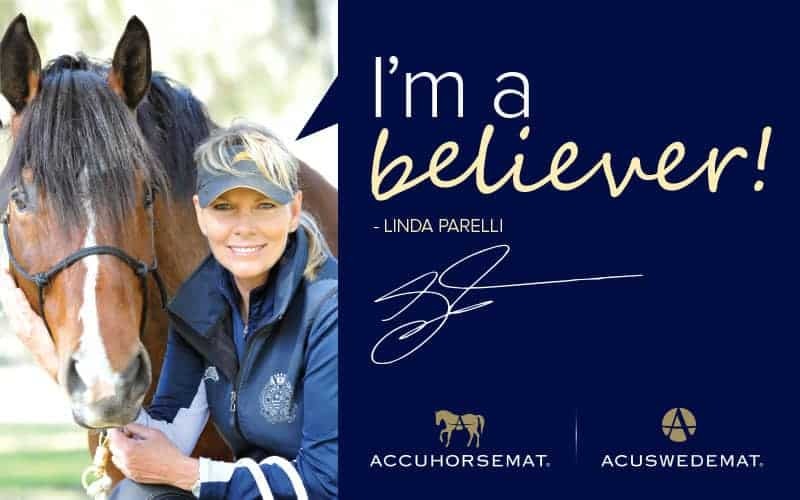 Acuswede is honored to work with world-renowned riders and trainers, and especially with Natural Horsemanship experts Pat and Linda Parelli. We’ve had the opportunity to participate in events at the Parelli Centers in Colorado and in Florida, and witness the Parelli System first hand. Their natural horsemanship abilities, classes, and education resources are truly one of kind. It is important to us partner with organizations that share our values to promote health and quality of life for both the horse and riders! This mat is amazing! Accupressure, circulation and myofacialrelease…How can something so simple do so much? I use it all the time – it’s become an important part of both my personal health and my horse health programs. If it does all this for people, just imagine what it’s going to do for your horse! I’m a believer! Thanks Linda for your endorsement and we’re happy our products have become such a beneficial part of your program and your everyday life!